Gateway to Legend v0.13.0b finally rolls out! Many new features, improvements, and tons of bug fixes implemented into this (hopefully) final beta version. * You can no longer switch Abilities from the Pause menu. This is to streamline gameplay and discourage frequent pausing. Hey gameblablabla, thanks for testing! My original workaround for this was to add in an empty saves directory in the zip file, and it worked in my testing on my Ubuntu VM (take a shot every time I say that, am I right?). I guess not all systems preserve empty directories when compressing/uncompressing archives, so I've implemented your fix. I did see those graphical glitches a bit on my Linux VM, but it wasn't from the screen scrolling. Every so often when enemies are moving, there would be a white bar underneath the enemy. I figured this was the lack of video memory allocated to my VM. Unfortunately, this looks like an issue I won't be able to fix, especially since you don't seem to have a fix for it either. I want to thank my Discord server (link in the video description), my friends, anyone who contributed ideas, art, music, suggestions, and bug reports. I want to give a special thanks to my best friend Ian, and @_iPhoenix_ , who worked together to create the music for this game. Great to see this out! I'll download it to try it soon. So far i think it's nothing exceptional as a game itself... though i haven't tried it much i admit. I think it lacks some oompf ! Attacking enemies is just not satisfying. I've been mainly fixing bugs so far, but I will see if there's any energy left to add anything else into the game. I may not even make other map-packs, given how busy I will be this year and how I have another secret project in the works. And by secret, I mean a project with no good graphics for it yet. I think it's really good, but sometimes I don't know where to go. Sometimes I get warped to the unpartitioned memory zone. Thanks! As for when you don't know where to go, the flow of Main Adventure is a little more open-world. You can even skip to the final boss, if you want! When you get warped to the unpartitioned memory zone, is this before or after my fix? I uploaded a new version (but annoyingly enough I forgot to change the version number), where I fixed just this. The final boss warp now works fine. Can you tell me where you get warped? Ah, I was on an older version of GtL. Everything is fixed now! I also forgot that this is a zelda-like game. So I should embrace the openness, ha ha. 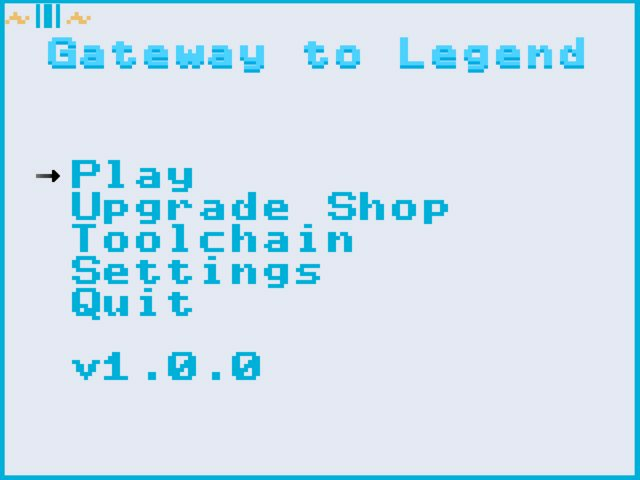 Gateway to Legend v1.0.3 releases with a few minor but important fixes. * Some Linux distros: White bars appear at random, usually when the screen or enemies (?) are moving. This seems to be a SDL bug, and something I don't believe I can work around. * Some Linux distros: During screen scrolling transitions, keypresses are stored and the players moves according to those presses in the next map. This also appears to be an SDL bug, and not one that I could figure out how to easily work around. Page created in 0.121 seconds with 37 queries.